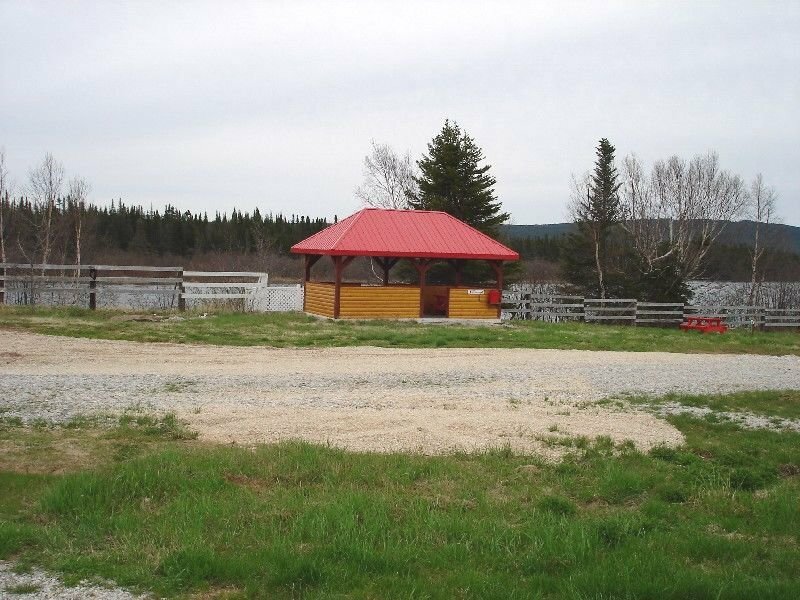 OUR CAMPGROUND IS LOCATED IN WESTERN NEWFOUNDLAND IN THE BEAUTIFUL HUMBER VALLEY, BECAUSE OF THE AREAS BOUNTIFUL NATURAL RESOURCES. MANY TYPES OF PEOPLE HAVE LIVED HERE OVER THE AGES. THIS PART OF NEWFOUNDLAND WAS FIRST INHABITED OVER 4,000 YEARS AGO BY THE MARITIME ARCHIC PEOPLE. LATER THE AREA WAS FREQUENTED BY THE PALIO ESKIMO AND DORSET ESKIMOES ABOUT 1,000 YEARS AGO. AFTER THIS PERIOD THE AREA WAS FREQUENTED BY BEOTHUCK OR RED INDIANS ABOUT 300 YEARS AGO. AFTER THIS THE MI'KMAQ INDIANS HUNTED AND LIVED HERE AND ABOUT 150 YEARS AGO THE FRENCH AND ENGLISH FREQUENTED THE AREA. THE OWNER OF THE CAMPGROUND HAS FOUND ARTIFACTS FROM MOST OF THESE CULTURES. 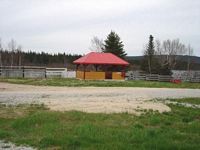 IN ABOUT 1890 A. J. BAILEY, A SURVEYOR RECEIVED A GRANT FROM THE NEWFOUNDLAND GOVERNMENT FOR 320 ACRES AND THIS CAMPGROUND IS A PART OF THAT LAND GRANT. THIS LAND WAS FARMED BY MR. BAILEY AND LATER K. R. J. PROWSE. MR. PROWSE HAD THIS AREA'S FIRST DAIRY FARM. THE DAIRY BARN IS NOW THE INSECTARIUM. LATER SOME OF THIS LAND IS FARMED BY GERARD BEAULIEU, WHO HAS BEEN GROWING STRAWBERRIES HERE FOR OVER 25 YEARS. 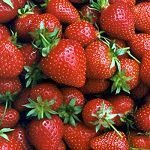 GERARD, ALSO GROWS RASPBERRIES AND HAS EXPERMENTED WITH OVER 50 TYPES OF FRUIT TREES INCLUDING APPLES, PEARS, TART CHERRIES AND PLUMS. SO FAR OVER 100 TONS OF TREE FRUITS HAVE BEEN GROWN IN OUR NEWFOUNDLAND SOIL AND CLIMATE. SOME OF THE PLUMS ARE USED TO MAKE LOCAL WINE. "THE HUMBER VALLEY IS CERTAINLY THE BANANA BELT OF NEWFOUNDLAND". IMAGINE ONLY ONE HOUR TO THE NORTH, THE HIGHLANDS OF GROS MORNE NATIONAL PARK LOOK LIKE THE MOON AND HARBOURS MANY ARCTIC SPECIES. TODAY SOME OF THIS LOCAL AREA IS CONVERTED TO A CAMPGROUND, SO VISITORS CAN ENJOY THIS WONDERFUL PLACE.